The Paradise Inn's iconic neon palm tree sign must be returned to the federal government, a judge ruled Tuesday. 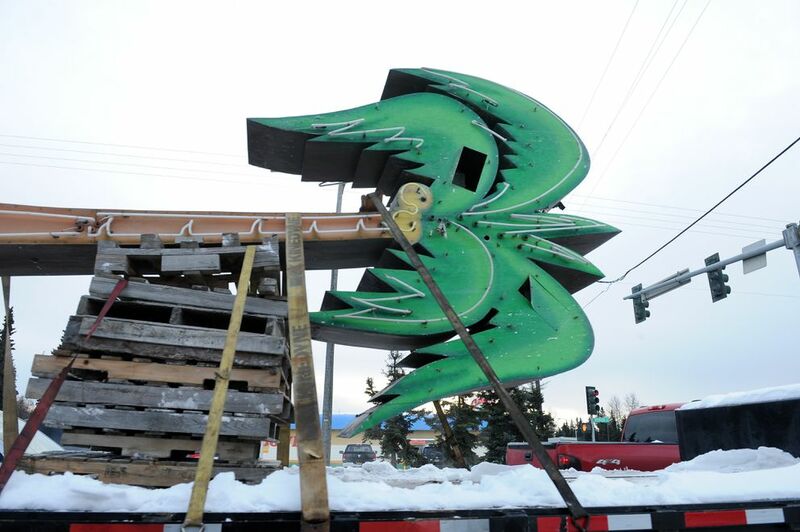 The sign, a longtime fixture in Anchorage's Spenard neighborhood, was removed from the derelict Paradise Inn in November by Anchorage trash company Denali Disposal. The business was contracted to clean up the inn before its sale to the federal government. On Tuesday, Judge Ralph Beistline ordered Denali Disposal to tell the federal government "of the whereabouts of the Palm Tree" within two weeks so that it could be retrieved. The federal government claimed ownership of the hotel last year after a previous owner was sentenced to prison for selling a bag of meth. The sign — a 22-foot tall, 7-foot wide, double-sided neon palm tree — was a fixture at the inn, Beistline wrote in his order. Bernadette Wilson, a longtime political operative and former talk show host, owns Denali Disposal. 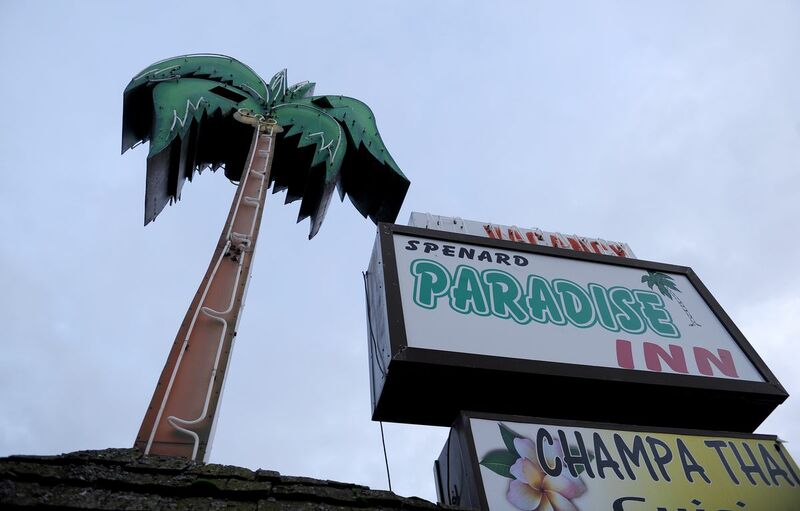 She said her company took the familiar Spenard sign because a marshals service employee had told them that the palm tree was to be thrown away. "They told us that it was trash and that it was not important," Wilson said in the phone interview in March. Instead of dumping the sign, Wilson kept it. She has it stored in an "undisclosed location," according to court documents filed by the U.S. attorney for Alaska. "We think that we know where the sign is located," U.S. Assistant Attorney Kelly Cavanaugh wrote in an email. "In the past … she has not told us, but now she must disclose its location and make it available to pick up," Cavanaugh wrote. In March, Wilson said she had planned to refurbish the sign. "But then it turned into a big, threatening federal overreach," she said. In Tuesday's order, Beistline wrote Wilson's business "was aware that the sign had actual value and was not merely debris," in part because the company did not dispose of the sign. In court filings, Beistline points to an Anchorage Daily News article published in late November that said the sign was heading to auction. Beistline said that Denali Disposal had "actual knowledge" of the government's plan to sell the palm tree sign. Lastly, federal law requires that the forfeited property be auctioned or sold "and therefore it cannot be given away by anyone," Beistline wrote. "Allowing a governmental representative to circumvent this requirement by designating an item of value as 'debris' and effectively giving it away to a vendor … would be ripe for abuse and fraud," Beistline said. Wilson did not immediately return a call requesting comment Tuesday. Wilson could file an appeal of the order, Cavanaugh wrote. "I have contacted her attorney and informed him that the US Marshal Service has a vendor in place and is ready to come pick up the sign," Cavanaugh wrote.